A feast for the senses, Hong Kong offers a dynamic and enthralling cultural landscape which blends its Chinese roots with its colonial past. An enchanting collection of bustling and colorful neighborhoods and beautiful islands, lush rolling hills and peaks, bountiful nature, and an iconic skyline, Hong Kong is a haven for all interests and personalities. An urban oasis surrounded by water and panoramic views give visitors plenty of opportunities to explore and discover every aspect of this Asian wonderland – from some of the most spectacular architecture, to one of the world’s best culinary scenes, to trendy and quintessential hotels, markets, and hip lounges, Hong Kong is a city that not only never sleeps, but one that will keep you wanting more. Island Hopping: Escape the city limits to the New Territories with a day trip to another nearby island or even stay a bit closer and venture out to the fishing village of Aberdeen or the beautiful Repulse Bay and neighboring Stanley. If you have more time on your hands, visit the laid-back outlying islands like Lantau Island, Lamma Island or Cheung Chau which seem a world away from the city’s frenetic energy. Shopping: A shopaholics paradise, Hong Kong is best known for offering everything from unique local fashions and antiques to bespoke anything, from cutlery to gowns, the sheer variety of products and countless options offer everything from pristine and glitzy shopping malls, to a mix of markets, perfect for souvenirs and local crafts. 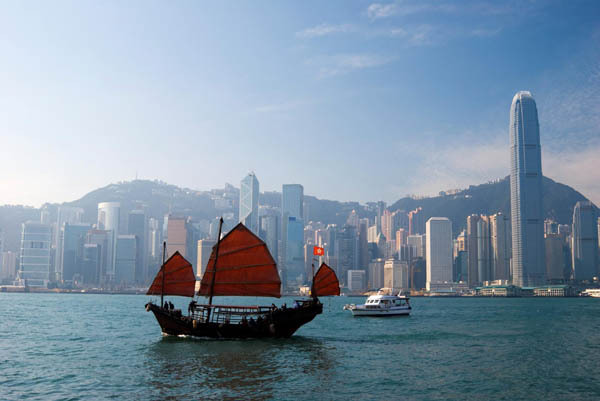 Cruising: Board an authentic Chinese junk and set sail into Hong Kong’s scenic harbour for a 360-degree view of the city’s impressive skyline to get a different perspective and dazzling views of both Kowloon and Central with a night cruise. Aqua Luna offers a Symphony of Lights Cruise which captures the daily sensational lightshow, as well as other day and evening sunset harbour cruises to take in this picture-perfect cityscape. 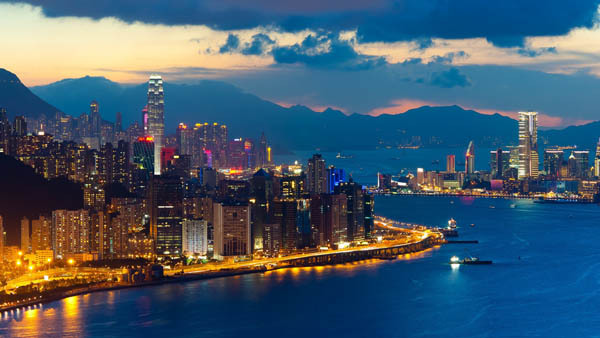 One of the world’s top culinary capitals, Hong Kong does not disappoint with its abounding Michelin-starred restaurants, from Cantonese to French and Sichuanese, as well as more casual spots offering local delicacies. Whatever your gastronomic desires, Hong Kong will surely leave even the most discerning palates satisfied. 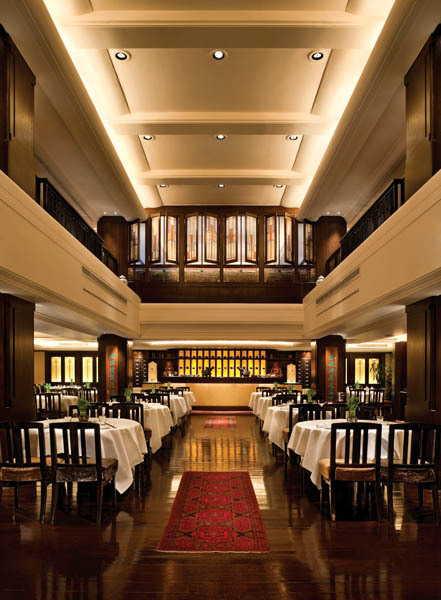 Reminiscent of a 1920s Shanghainese dining room, complete with antique-style teak floors, Oriental rugs, and Frank Lloyd-Wright Art Deco-influenced stained glass, The Peninsula’s Michelin-starred Cantonese restaurant is hands down one of the most delectable menus in the city. Serving up fine Chinese cuisine, they are also well known for presentation and a wide array of seafood and expertly crafted Dim Sum. 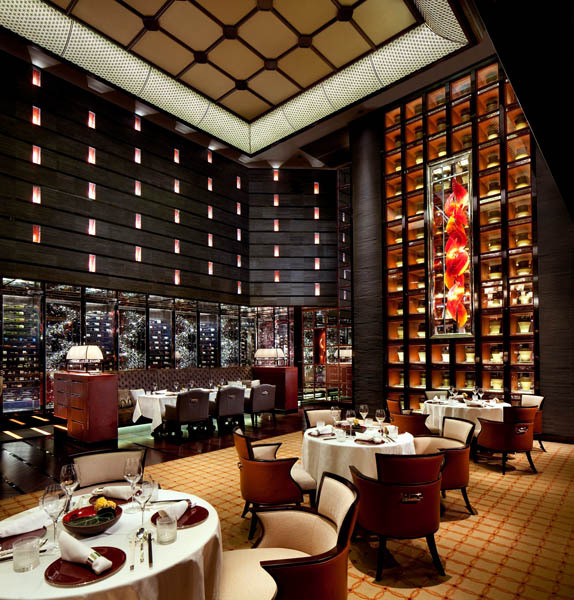 Boasting remarkable views from the 102nd floor, this authentic two- star-Michelin restaurant located in the Ritz Carlton Kowloon is masterfully designed to create a perfect fusion of modernity and tradition. 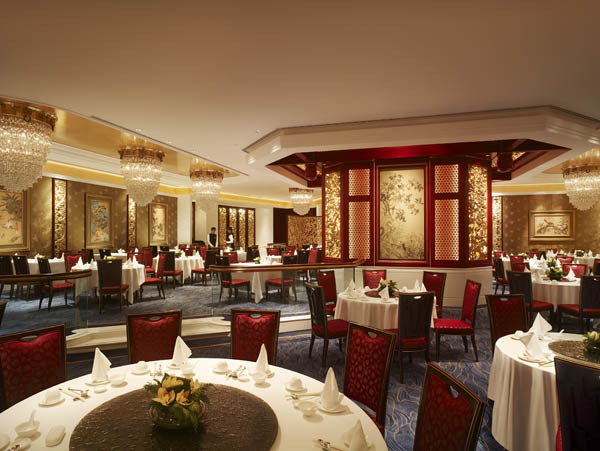 A splendid open space filled with bold colors, adorned in decadent textiles and accents, the menu is just as impressive, featuring traditional Dim Sum, complemented by an expansive menu of live seafood and elegantly prepared traditional Cantonese dishes. Elegant and timeless, Summer Palace at Island Shangri-La feels as luxe and stately as it sounds, with a grandeur that not only honors its Chinese heritage but emphasizes the flavors and purity of its Cantonese dishes while paying special attention to seasonal favorites for a complete and impressive menu in a formal and majestic setting. 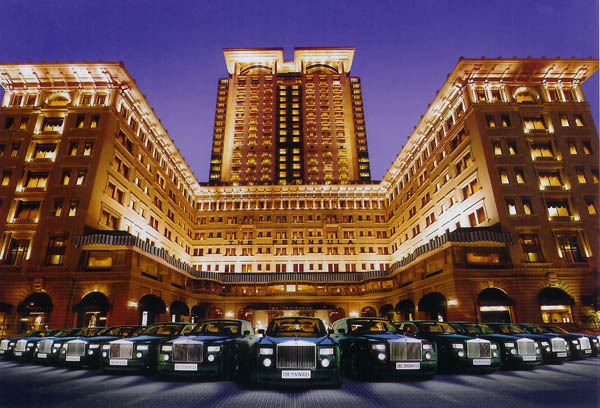 When it comes to hospitality, Hong Kong sets the bar high with its posh and legendary hotels known for their comfort and luxury. These top-notch hotels offer intoxicating city views, exceptional service, and world-class dining and accommodations fit for royalty. 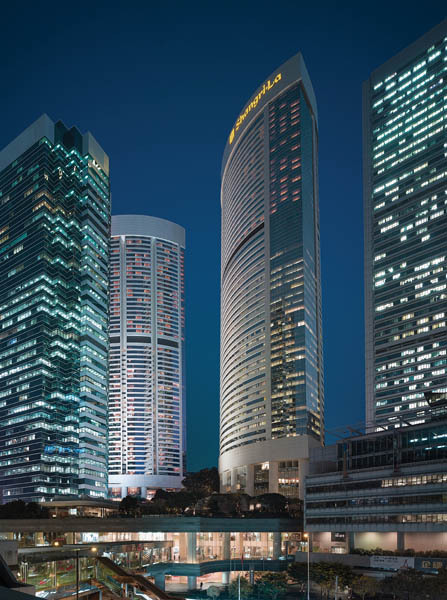 Dominating the city skyline at 490 meters high, the Ritz Carlton proudly claims its title as the tallest hotel in the world. And with that of course comes the unrivaled and unobstructed vistas of glimmering Victoria Harbour and Hong Kong Island across. 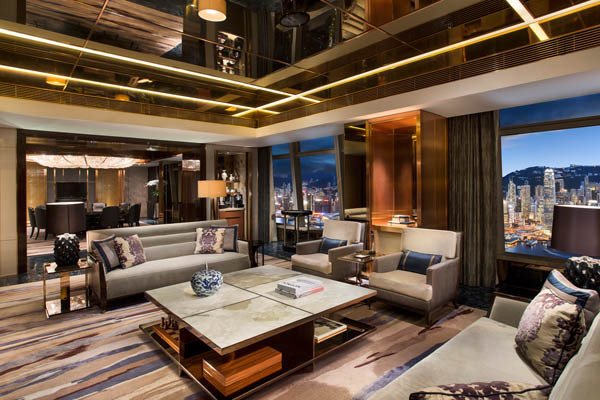 The hotel’s reception is on the 103rd floor of the International Commerce Centre on West Kowloon waterfront, and upon arrival you can begin to appreciate the opulence and perfectly decorated spaces which combine a modern yet stylish and sophisticated design. 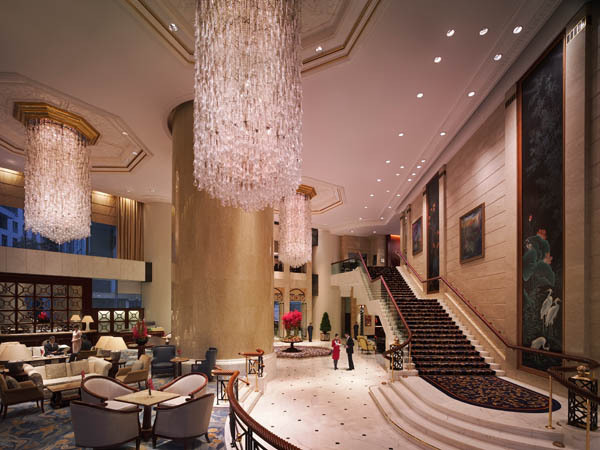 The lobbies are decked out in crystal artwork, dark wood, recessed lighting, and high ceilings, with an appropriately Asian twist to the ceramic art and sculpture. Every detail has been thought of, from their signature Black Orchid scent, to the textured wall panels, leathers, and mirrored hallways. Everywhere you turn you are reminded of the hotel’s height with floor-to-ceiling windows that showcase the dramatic views in every direction. Some over the top amenities include a state-of-the-art spa and an indoor infinity pool, as well as an outdoor whirlpool on the 118th floor. 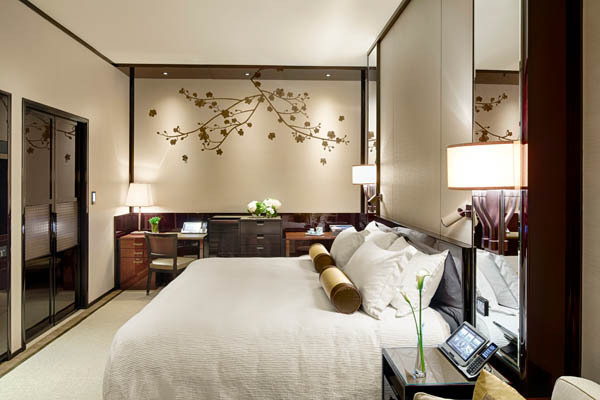 The spacious 312 rooms come in 13 categories yet all feel luxe and feature amenities like marbled bathrooms, Nespresso machines, and Asprey toiletries, as well as fine linens and everything one would expect at such a five-star property. Rooms with Club-floor access enjoy additional services like 24-hour access to the Ritz-Carlton Club Lounge, which offers five exquisite food and beverage presentations daily, as well as a dedicated Club Concierge, business center services and express check-out. If all your senses have not yet been overwhelmed, explore the five dining and louge options ranging from one of the hottest spots in Hong Kong – Ozone, on the 118th floor, the world’s highest bar, which serves tapas, sushi and live music – to casual and more formal dining rooms. Tin Lung Heen, the Chinese restaurant, has two Michelin stars and Tosca, the Italian restaurant, has one. If you are craving something more intimate and exclusive, head to Almas Caviar Bar, which combines delectable caviar with a cozy and luxurious atmosphere. While the Ritz attracts jetsetters, power players, businessmen and couples, it also is a great place for families. Their recently launched Ritz-Kids programme which includes a so-called Night Safari has been a huge success, where children can camp in a tent (complete with lanterns and linens) in their parents’ room. Now adults need not have all the fun while staying at this ultra posh and impressive hotel. East meets West at the famed Shangri-La which has been around for decades, continuing to greet its guests with seamless service and impeccable decor and amenities. 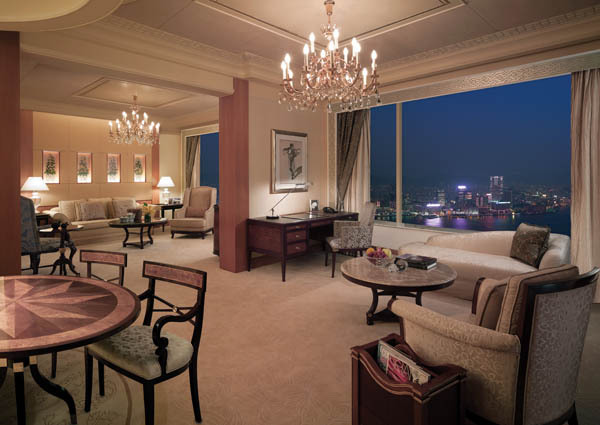 One of two Shangri-La properties in Hong Kong, its sister hotel is located on the other side of the harbour in Kowloon, both properties live up to the Shangri-La brand’s stellar reputation offering elegant rooms with classic decor along with floor-to-ceiling windows, most with sweeping views of Victoria Harbour or the skyline. Island Shangri-La boasts innumerable extravagances which you immediately notice as you step into their timeless lobby and all public spaces which are accented with plush fabrics, woods, marbles and incredible chandeliers, as well as a substantial and carefully curated art collection. Impressively enough, there are over 700 Austrian and Venetian chandeliers as well as a monumental 16-story Chinese silk painting entitled ‘The Great Motherland of China’ that can be admired from the bubble lifts. 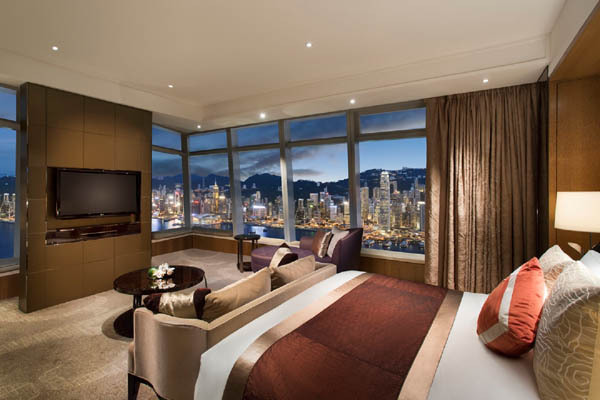 The 565 spacious rooms and luxurious suites are tastefully decorated with Asian-accented European furnishings, and all rooms were designed with views in mind, so most have magnificent views of either the Peak or Victoria Harbour. If you upgrade to the Horizon Club rooms which can be found between the 52nd and 55th floors, you will be able to access the grand Horizon Club lounge which is a peaceful and decadently designed space that has a more intimate and cozy feel to it, as if you were in your home away from home. The helpful staff and attentiveness ensure all your needs will be met. Once you have checked into the Shangri-La you may not even want to leave for any other meals since the hotel offers eight options scattered throughout, including Nadaman, a Japanese restaurant, and Restaurant Petrus, which is renowned for its exquisite wine cellar and French cuisine. Café TOO is usually a hot spot on the weekends for its famous international buffets, and Summer Palace, their Michelin-starred restaurant, mentioned previously, is a must. Conveniently located, Island Shangri-La makes a great hub for both business travelers and tourists looking to be situated near many of the top nearby attractions. 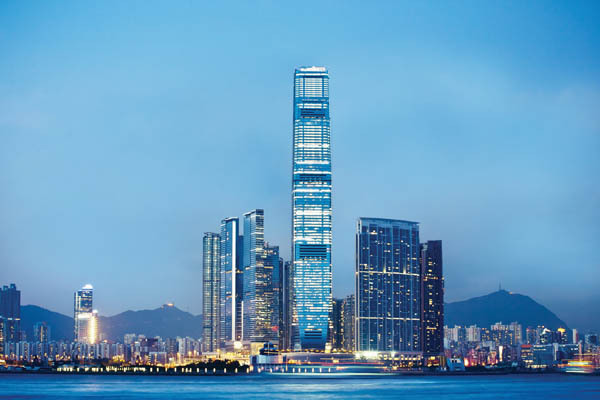 The hotel is part of the Pacific Place mall complex, which sits on top of Admiralty MTR station, one stop from Central so you can easily navigate Hong Kong’s clean, hi-tech, and easy to use efficient transportation system to discover all the city has to offer.